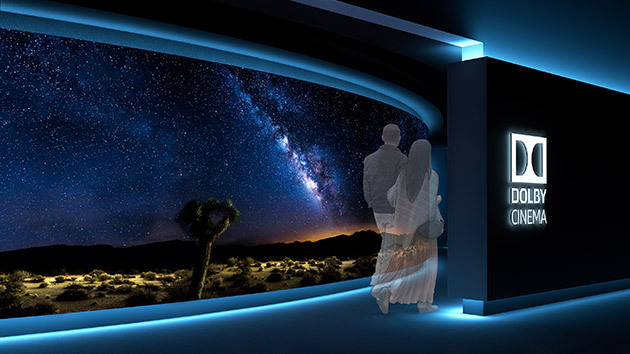 Dolby just announced an upcoming addition to their service projects which is about the launch of its IMAX competitor known as “Dolby Cinema”. Dolby is usually a name known for creating audio, visual and voice technologies for cinemas. But they now they are extending focus to vertical expansion of more than audio technology and Dolby Cinema and Dolby Vision are examples of this effort. Dolby Vision is the new technology Dolby introduced which they are working on for several years. Dolby plans to inaugurate its first opening in Netherlands this December. The owner of the theater in Netherlands stated to charge $18 each, which is $5.5 more than a typical normal charge. Dolby is reluctant for now to announce what it will cost to enter the huge screen cinemas. But the technology itself explains that a premium to the normal charge is expected to visualize the amazing Dolby Vision technology in cinemas. Dolby Vision combines HDR videos (or more commonly known as High Dynamic Range Videos) to another part, which is still not known. By combining the two, they can exhibit a chock-full palette of colors similar to what a human eye visualizes. Increasing the benefits of higher resolution, Dolby Vision can work equally well on HDTV, Ultra HD, 2D and 3D as well. As to what Dolby claims, Dolby Vision provides 40 times brighter and 1000 times superior contrast than a visual seen on a television since ever. Hollywood studios and theater owners appears to engage the company more and doesn’t provide them enough space to go further with opening new outlets in different areas around. The first outlet in Netherlands will start using the Dolby Vision technology in next spring. Until next spring, the outlet in Netherland is going to use 4K laser projections only. Not in the near future, but more outlets are anticipated to be functional in US and other areas. To cover the cost the production, a whole lot of people need to be convinced including local movie houses and studios in order to make sure that the films produced are Dolby Vision technology compatible. Otherwise the whole point of Dolby Vision IMAX will go waste and the amount used to produce the outlet will be of no use. The financial viability is the major aspect because it turns the table in favor or against the new project, when launched in the market. Be sure to check out this video highlighting the benefits of Dolby Vision.